Strike a pose: Royal wedding and the same ring! Royal wedding and the same ring! Kate Middleton is already one of the most photographed women in Britain - and with Tuesday's engagement announcement to Prince William, she immediately jumps to the top of the fashion world. That position was once taken by Princess Diana, William's mother, who was killed in a 1997 car crash in Paris. Like Diana, whose classy and great sense of style was widely imitated until her early death, Kate will splash Fashion World as new Fashion Icon. Photographer already love her for her beautiful, classy look where she cleverly play quite safe with fashion, wearing lots of black mixing with pop of colours, but still dresses for her self. Long legs, which she loves to show off wearing lots of skirt and dresses with long boots, natural brown, long, shiny hair, gorgeous smile and great sense of style it seems she is born to be a Princess. I hope she will not feel the pressure to fill Diana's shoes and will make her own path. Now everyone is looking forward to next year Royal Wedding and making guess who gone design the next most photographed wedding dress, when exactly gone be wedding and who & how much gone pay for Royal Wedding, because kingdom is still suffering from crises. But most important is that they marriage will last forever & ever and Prince William gone be better husband then his father and Kate will make her own path as people beloved Princess. i love them together...she is so classy! 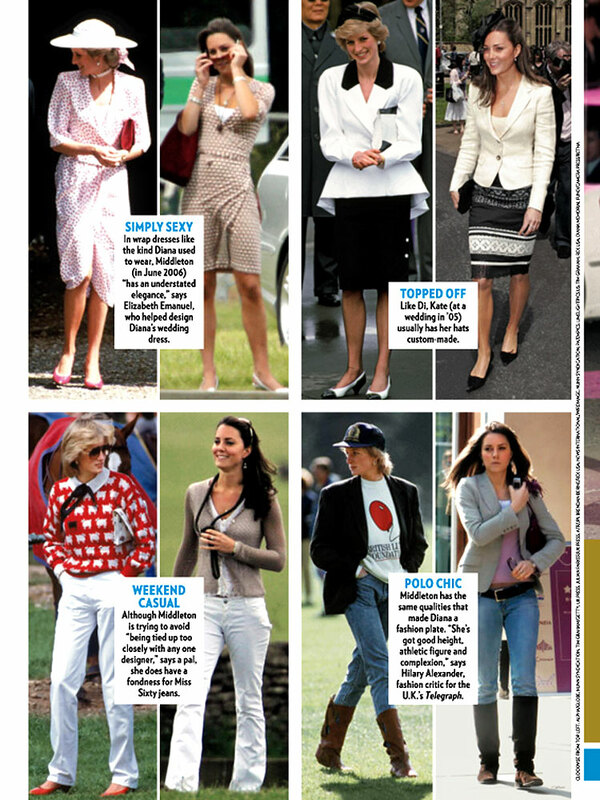 I really want Kate to bring it out a bit more, be a tad more daring in fashion. no one can top princess di. We sooo can't wait for the wedding day. Such a cute couple.